Continuing the celebration of the 25th anniversary of Star Trek: The Next Generation! It's climactic finale of one of the most talked about Star Trek events of the year as past and future collide! 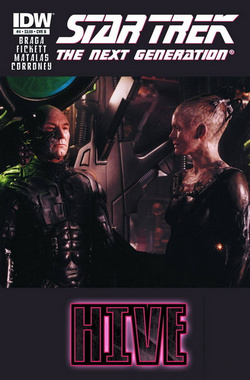 Past and future intersect as Captain Jean-Luc Picard and Locutus meet to decide the fate of the United Federation of planets-and the entire Borg Empire!